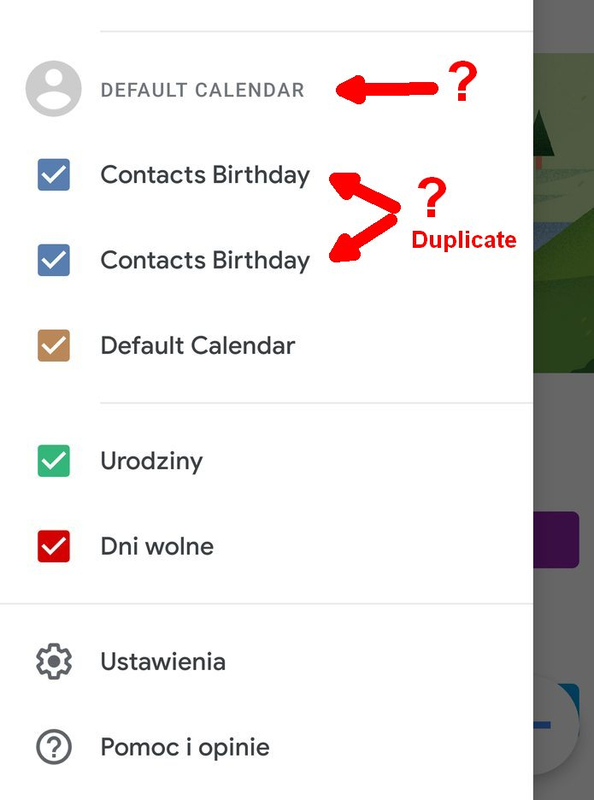 I have a default calendar section in Google Calendar app (Android 9 Pie V5.140 - Polish language) Is there a way to remove it? Default calendar can't be removed. You can deactivate the calendars by clicking on the coloured boxes in front of the name (see your screenshot). Doesn't this happen when you have more than one gmail account linked to the calendar?